Sometimes, when you see other people make (fast) progress or get incredible results, you can start doubting yourself. And sometimes, when you’re making (fast) progress or get incredible results, you can start worrying if (or when…) you’ll lose it again. Building and growing a business can be difficult sometimes, push all your buttons and trigger all your fears. When that happens, it’s difficult to relax, to trust, and to keep the faith. To inspire people to keep faith, I posted the message below in one of the Facebook groups I coach in. Some people are sharing fantastic wins and breakthroughs, and I KNOW this can trigger a lot of doubts in others as well. EVERY female entrepreneur knows what it feels like to compare yourself to others, and to start doubting yourself and your progress as a result. So I decided to share the message I posted with you here, too. “A loving message for everyone in this group who feel like others are already making so much progress and getting so much clarity and they…..don’t. For everyone who wonders why nothing has shifted for them yet, and start worrying if that will happen for them, too. For everyone who’s experiencing magic already, and wonder if it will last…or if they will lose it again over time. 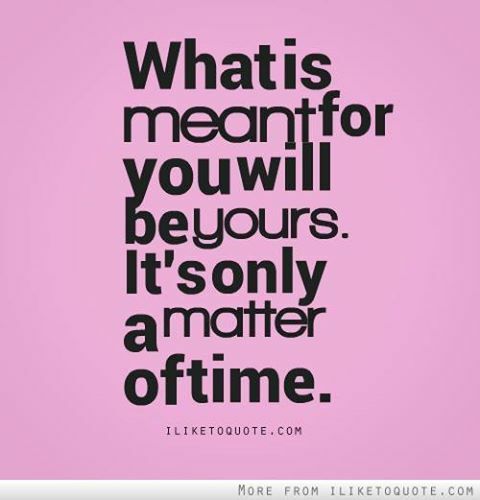 What is meant for you will be yours. It WILL be. It’s inevitable. Keep loving yourself. Keep going. Let go of any and all attachment. Know that the fantastic evidence and breakthroughs others are posting is evidence that this is possible for YOU, too! Enjoy it as much as you can, relax as much as you can, keep tapping into your intuition, keep taking your inspired actions, keep (or start) asking for support & coaching, and keep going. 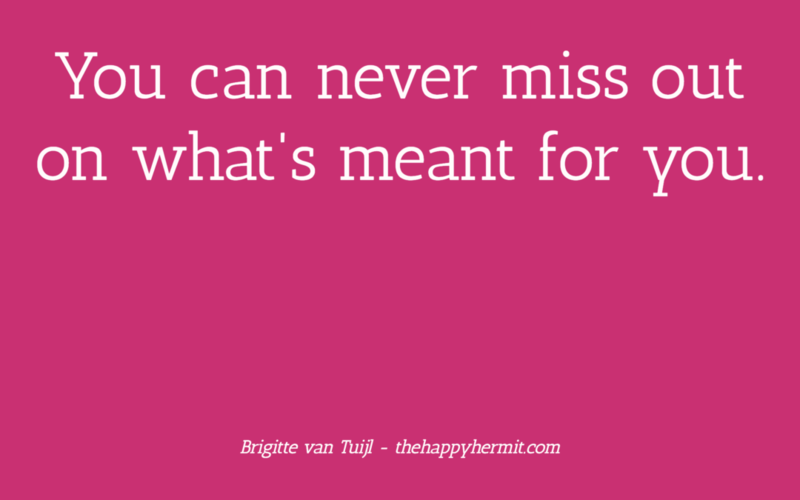 You WILL get what’s meant to be yours. It’s inevitable. (And on a personal note? I know EXACTLY how you feel. In almost every group program I’ve ever been in, I’ve always been the last one to see results – if any at all. I have my very own pace and have learned to love that, regardless of how ‘fast’ or ‘slow’ others seem to be going. I now fully trust my own soul, trust that my soul knows best. That *I* know best. Which is true for you, too!! !